Check our website regularly for updates on “What’s New” at Murphy Desmond S.C.
Attorney Maryam Ghayyad was featured in the September 2018 issue of Wisconsin Law Journal as a result of her recent "Up and Coming Lawyers" award. Inmigración al Día (Immigration up-to-date) is a radio show on La Movida Radio (WLMV 1480), featuring Murphy Desmond Immigration Practice Leader Attorney Glorily A. López. Immigration Attorney Glorily A. López was interviewed for In Business magazine’s August 2017 issue regarding President Trump’s recent “Buy American/Hire American” executive order and the H-1B visa program. On July 26, 2017, USCIS updated the USCIS Policy Manual to specify that every naturalization (citizenship) applicant must provide biometrics (e.g. fingerprints) regardless of age, unless the applicant qualifies for a fingerprint waiver due to certain medical conditions or disabilities. On July 24, 2017, Department of Homeland Security, U.S. Citizenship and Immigration Services (USCIS) announced it will resume premium processing for certain cap-exempt H-1B employment petitions effective immediately. Attorney Harvey Wendel was named to the Board of Trustees of the Fellows of the Wisconsin Law Foundation for a one-year term. On July 19, 2017, USCIS announced that it has returned all fiscal year 2018 H-1B cap-subject petitions that were not selected in the USCIS computer-generated random selection process. USCIS released the latest Form I-9, Employment Eligibility Verification, on July 17, 2017. Murphy Desmond is pleased to welcome attorney Connor Valentyn, practicing in the areas of Business Law and Business Start-Ups. Murphy Desmond S.C. is pleased to announce that Attorney Jane F. (Ginger) Zimmerman has been elected to serve as President of the firm, effective May 30, 2017. On June 6-7, 2017, the firm sponsored the Wisconsin Entrepreneurs’ Conference at Union South (on the University of Wisconsin campus), as well as the Wisconsin Governor’s Business Plan Contest. For the second consecutive year, Murphy Desmond sponsored the Madison College Challenge, an annual business plan competition put on by Madison Area Technical College on May 5, 2017. On April 18, 2017, President Donald J. Trump signed a new Executive Order: "Buy American and Hire American." U.S. Citizenship and Immigration Services (USCIS) announced that it will begin issuing a redesigned version of the Permanent Resident Card ("Green Card") as well as the Employment Authorization Document ("EAD Card") as early as May 1, 2017. The Temporary Protected Status (TPS) designations for nationals of Guinea, Liberia, and Sierra Leone will terminate effective May 21, 2017. U.S. Citizenship and Immigration Services (USCIS) has temporarily suspended premium processing for all H-1B petitions, effective April 3, 2017. U.S. Citizenship and Immigration Services (USCIS) received approximately 199,000 H-1B petitions during the initial filing period for cap-subject petitions for FY2018, between April 3-7, 2017. Immigration attorney Glorily López was interviewed for an article in the April 2017 issue of In Business magazine regarding the impact of the latest immigration policies on employers and workers. In light of the latest executive order on immigration on March 6, 2017, Immigration Attorney Practice Leader Attorney Glorily A. López was interviewed by ABC-affiliate WKOW (Channel 27) in Madison, Wisconsin. See here for information from the American Civil Liberties Union (ACLU), as it pertains to being pulled over by the police, immigration agents or the FBI in the United States. Immigration lawyer Glorily López was interviewed for a feature in the magazine of the Wisconsin State Bar. Murphy Desmond was a sponsor of the RENEW Wisconsin Energy Policy Summit on January 19, 2017, at the Monona Terrace in Madison, Wisconsin. The surprising and historical results of the November 8, 2016, general elections have left the immigrant community and immigration law practitioners with more questions than answers. Attorney Brian Thill presented on the topic of "Wisconsin Foreclosure and Repossession Compliance" in September 2016. Attorney Larry Bechler has been named 2017 “Lawyer of the Year-Municipal Law” in Madison, Wisconsin, by Best Lawyers® in America. Larry received the same award in 2012. Attorney Mario Mendoza has joined the Board of Directors at the Rotary Club of Madison for a 2-year term. Murphy Desmond is pleased to announce that 13 of our lawyers have been named to 2017 Best Lawyers® in America in 14 different practice areas. Murphy Desmond sponsored the Badger Startup Summit on August 22 at the Wisconsin Institutes for Discovery in Madison. On July 18, 2016, the U.S. Department of Justice asked the U.S. Supreme Court for a rehearing before nine justices in the case over President Obama’s executive actions on immigration, highlighting the need for a definitive decision on the matter instead of the non-precedential 4-4 split reached by the high court in June 2016. On June 17, 2016, a three-judge panel of the United States Seventh Circuit Court of Appeals upheld the trial court’s decision in Trade Well Int’l v. United Cent. Bank (Trade Well II). Deferred Action for Childhood Arrivals (“DACA”) is a form of executive action on immigration, first announced by President Obama on June 15, 2012. The Supreme Court of the United States issued a decision on June 23, 2016, in United States v. Texas. Murphy Desmond is pleased to again be a sponsor of the Wisconsin Entrepreneurs’ Conference on June 7-8, 2016, at the Alliant Energy Center in Madison, WI. Attorney Nicole Pellerin’s article entitled “Undisclosed Claims and Courses of Action” was published in the Spring 2016 edition of the national magazine American Bankruptcy Trustee Journal. Farming in Wisconsin is one of the many industries affected by immigration laws. Appleton attorney, Roy Fine, has joined Murphy Desmond’s business, estate planning and intellectual property practice groups. Immigration lawyer Glorily Lopez has received an award from ThreeBest Rated, an online rating organization that ranks top businesses in a market. With tax season under way, make sure you are aware of changes included in the PATH Act as it relates to restrictions on claims for certain credits. Did you know there are new requirements for Issuance of Individual Taxpayer Identification Numbers (ITIN) under The PATH Act? Read here for an article in Wisconsin Law Journal about lawyers and retirement featuring Murphy Desmond lawyer, Harvey Wendel. Immigration lawyer Glorily Lopez was featured in a story on Madison TV station, WKOW, about immigration trends toward citizenship, as it relates to the Trump campaign. See here for details on new rules by the Department of Homeland Security regarding Eligible F-1 Students. On February 8, 2016, Bruce Rosen joined Murphy Desmond S.C. in the areas of Criminal Defense, Professional License Defense, and Litigation. Bruce’s legal career spans 45 years of representing clients in an array of criminal and professional defense matters. Read here for a brief update on the Clean Power Plan (CPP). This brief article gives information on protecting yourself from IRS-related phone scams. Attorney Maryam Ghayyad was interviewed for a feature story in the February 2016 issue of Wisconsin Lawyer. Maryam contributed to the article “What’s Hot, What’s Not: Wisconsin Practice Trends 2016” on the topic of immigration law. Congratulations to immigration attorney Glorily López! She has been named one of the “48 Most Powerful Latinos in Wisconsin” in the nonprofit online magazine Madison365. Glorily was recognized for her work in immigration matters and immigration reform. Please see the English and Spanish schedules of Glorily’s López’s radio show for 2016. 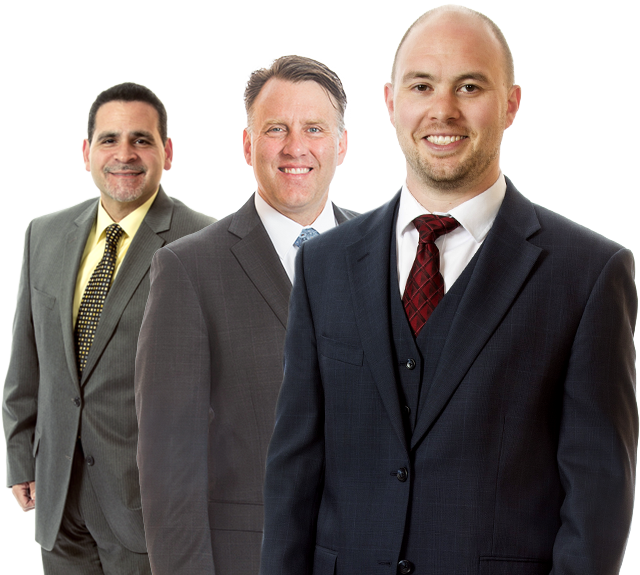 Nine Murphy Desmond lawyers are included on lists for 2015 Wisconsin Super Lawyers or Rising Stars. They include: Larry Bechler (State/Local Municipal Law); Stephen Beilke (Family Law); Hal Harlowe (Criminal Defense); Stephen Morgan (Business Litigation); Robert Pasch (Business/Corporate Law); William Rameker (Bankruptcy: Business); and Ginger Zimmerman (Bankruptcy: Business). Environmental lawyer Matt Frank will present on the topic of “Site Control and Due Diligence” on October 27, 2015, at the Wind Energy Balance-of-Plant Design seminar put on by the University of Wisconsin College of Engineering in Madison, WI. Four Murphy Desmond lawyers were named “Lawyer of the Year” in their respective practice areas by Best Lawyers in America® 2016. Only one lawyer is named a “Lawyer of the Year” in each area of law in individual markets. Madison’s entrepreneur and technology groups convene in numerous events at Forward Fest from August 20 through August 27, 2015. Forward Fest Murphy Desmond is a part of this great event as a sponsor of the Badger Startup Summit. Attorney Hal Harlowe has been selected to the 2015 list as a member of the Nation’s Top One Percent by the National Association of Distinguished Counsel (NADC). The mission of the NADC is to recognize attorneys who elevate the standards of the Bar and provide a benchmark for other lawyers to emulate. Attorneys Tim Casper and Matt Frank recently became equity shareholders at the firm. Tim is a trial lawyer who joined the firm in 2013. Matt joined Murphy Desmond in 2014 and is an environmental lawyer. Immigration lawyer Glorily Lopez will be available to take your calls or text messages on the Madison-area Spanish radio station, La Movida (1480AM) on Friday mornings in 2015, to answer your immigration questions. The firm welcomes attorneys Ryan Wiesner and Jason Reed! Ryan is a litigator who joins us from a Milwaukee firm. Jason most recently worked for Murphy Desmond as a law clerk and will be assisting business clients for the firm. Murphy Desmond clients are now able to make payments online through our "Make a Payment" button on the top of our website pages. The secured page allows clients to make full or partial payments that will be received in real time. Attorneys Bob Pasch and Brian Thill, co-authors of Wisconsin Collection Law, recently had their publication cited on numerous occasions in the Supreme Court of Wisconsin’s decision in Associated Bank v. Collier. Attorney Matt Frank has joined Murphy Desmond and will be practicing in the areas of Environmental Law, Renewable Energy and Sustainabilty, as well as Administrative/Regulatory Law, Municipal Law and Litigation. These attorneys were chosen to 2013 Super Lawyers: Larry Bechler, Stephen Beilke (also a "Top 50 Wisconsin" and "Top 25 Madison" Super Lawyer), Hal Harlowe, Steve Morgan, Bill Mundt, Bob Pasch, Bill Rameker, Steve Tumbush and Ginger Zimmerman. The Annual Book of Lists, published by In Business magazine, names Murphy Desmond as the first place "Preferred Law Firm" in the Madison area, as selected by its 950-member executive register (local business executives). Attorney Gini L. Hendrickson has joined Murphy Desmond in the areas of estate planning, business succession planning, business law and real estate. Welcome, Gini! Attorneys Mario Mendoza and William E. Morgan have been named Shareholders at Murphy Desmond S.C. Mario's practice focuses on assisting clients in business and real estate matters, family law, and litigation.